Rewind to a few decades ago. 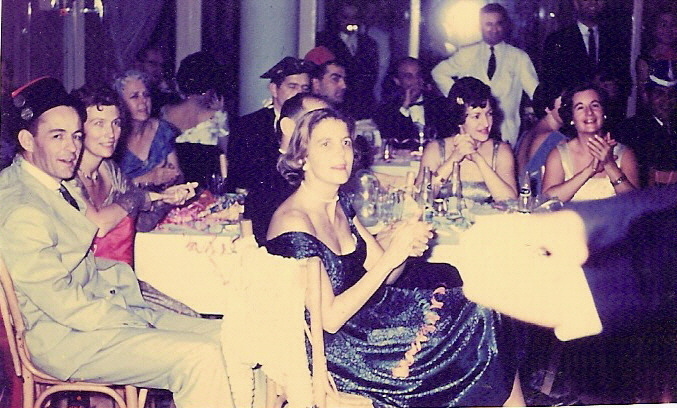 A young-ish Polly-Vous, ever the francophile, had been invited to attend a coveted New Year's Eve reception for le Reveillon du Jour de l'An at the French Consulate in Boston, at 10 p.m. Complete with an engraved carton d'invitation. Ready to impress her new-ish Beau with that prized invitation, she invited him first for dinner at her Beacon Hill apartment. Her roommates were away, and she was eager to demonstrate her nascent culinary skills for a divine and romantic repast. She set to work for an entire day on her favorite recipes from her favorite French cookbook, the Tante Marie. 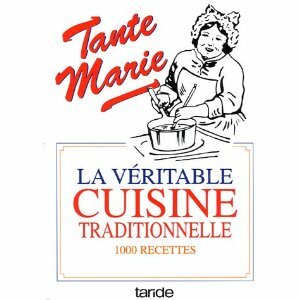 The Tante Marie was and is the French counterpart to the Joy of Cooking or Fanny Farmer's. Unadorned, classic French cooking. The Beau arrived at 7 p.m., and they had kirs and salted nuts. Then, mussels for a first course. Polly had carefully debearded and scrubbed the mussels; then chopped shallots and sauteed them lightly in butter in a deep pan, added the mussels and a cup of Entre-Deux-Mers. When those wine-steamed blue-shell bivalves opened, Polly and her Beau devoured them, and mopped up the dripping, savory sauce with chunks of crusty baguette. Add to the scenario candlelight on silver candelabrae and a crisply ironed damask tablecloth and napkins, and Puccini soaring in the background. Fire in the fireplace and quaint lights of Charles Street twinkling outside the window. Magic, right? Next, Polly prepared a filet of sole au gratin, with the slightest whisper of bread crumbs and butter, baked then lightly broiled. Creamed spinach and parsleyed steamed potatoes. A Sancerre to accompany. For the pièce de résistance, she had whipped up choux à la crème -- because Tante Marie had taught her how easy it was to prepare. By 10 p.m. mademoiselle Polly and her Beau were (to be stated undaintily) completely stuffed to the gills. But they were rapturously happy, holding hands in the flickering silver candlelight. With a slight moan and a forced heave-ho to get to their feet from the dinner table, Polly and Beau donned their overcoats and set out in the New England frosty air to conquer the six blocks to the French Consulate on Commonwealth Avenue. Ready to hob-nob with the elite francophile crowd for an elegant glass of champagne and a festive midnight bisou. Polly was confident that this would let her Beau appreciate her many, many merits, on oh-so-many, many levels. The couple was greeted at the door by Abdel, the consul's major domo, and welcomed by Monsieur and Madame le Consul in the glittering and elegant Back Bay mansion that was home to the consulate. Polly introduced the handsome Beau to Monsieur and Madame, and she politely shrugged off her overcoat to Abdel, to emerge in her shimmering dress. She was ready to subtly demonstrate that, although an Americaine from Boston, she had the sophistication and social wherewithal (tra-la!) to know how to be a gracious guest at a diplomatic party a la francaise. And then Polly saw it. The most impressive array of the best and most exquisite French cuisine, spread out among many tables, as far as one could see. Foie gras, glistening chilled oysters, smoked salmon, caviar, hams, roasts, cheeses, blinis, fruits, tarts, pastries, chocolates. With a graceful flourish of the hand, Monsieur le Consul beckoned Polly and her Beau to dine at the buffet. Polly exhibited a wan, green-ish smile and, in an effort to not appear not worldly, carried a small empty plate across the stands of sumptuous offerings. Handsome Beau heroically speared a slice of ham, which he then ignored for the duration of the evening. They wandered under the crystal chandeliers of the salons, smiling and chatting with various VIPs Polly recognized, hoping to avoid the scrutiny of the multitudes of knowing invitees who had been starving themselves for 24 hours in anticipation of this astounding French culinary and social event. And overstuffed as they were on Polly's beginner Tante Marie home cooking, neither of them could bear to eat one morsel of the exquisite French gastronomic feast. This, my friends, is torture. To top it off, when midnight tolled, Polly found herself not next to her Beau, but instead, elbow-to-elbow with her arch-nemesis, and was forced to give a saccharine, champagne-laced, Bonne- Annee cheek-kiss to that dowdy, powdery, simpering old lady. Indignation meets indigestion. A New Year's to beat all New Year's. Unforgettable. But always a great tale to tell! 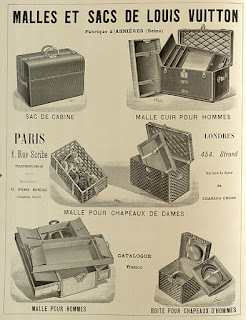 And so, dear friends, here's wishing all of you a brilliant and shining 2013, with many French delights and memories to savor. Let an unnamed Luxury Brand pay YOU! Attention all Paris denizens! An unnamed Luxury Vbrand wants your opinions and is willing to pay for them. If you are in Paris between January 2nd and 11th and would like to express your opinions on an unnamed luxury brand Louis Vuitton, the marketing group Miratech is conducting a series of focus groups in which you can participate and get rewarded. Contact the representative if you are interested. Apparently for a one-hour interview/survey, located in the 10th arrondissement, you will receive 80 euros' worth of gift cards redeemable at stores such a Decathlon, FNAC, Printemps, etc. Of course from my point of view, the 80 euros is just frosting on the cake. The bonus would be that I was actually in Paris at the time. Miratech's phone number is 01.53.34.65.59. Post updated per Miratech's request. Christmas time is here. And I found among family mementos a Christmas newsletter written by my mother in December 1959/January 1960, when our family had moved to Beirut, Lebanon, for a glorious year. I post it not to detail the minutiae of our family life, but as an archive of life in that era, certainly the early era of the Christmas newsletter. And also? Where I first learned French. When a family with five children ages 5 through 12 picks up and moves half way around the world, I would say that it calls for a newsletter. A chronicle of expat life. Then I wonder: is this subtly what gave me the urge to re-live an expat experience? And to write about it? 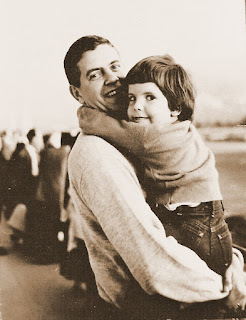 I love the 1960's social norm of not writing about misfortunes (oops -- neglected to mention little Polly's two weeks in the hospital in Rome with pneumonia!?) Oh how times have changed! Here's the letter. What started out being a Christmas letter has ended up being a belated New Year’s message, and for this we apologize. 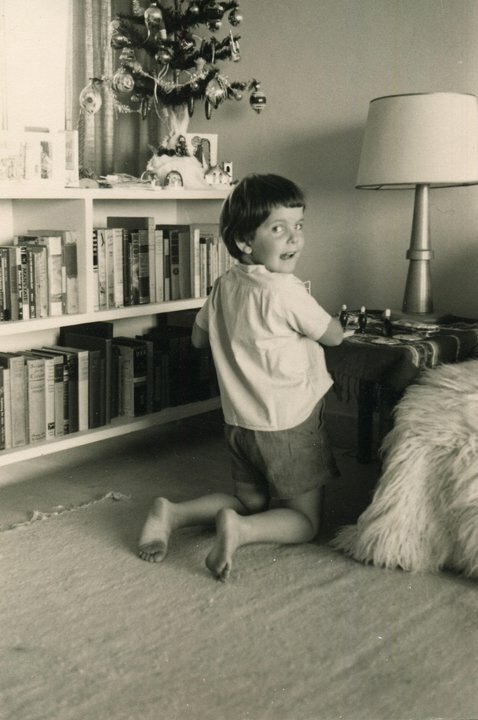 Actually, we did mimeo a Christmas letter, but yours were the 15 or 20 envelopes we put aside because we wanted to write messages on the letters. In our own inimitable way, before we realized it, the letters were consumed and we didn’t even have a copy to make another stencil. So be it! Enough of apologia. You will get the more up-to-date news anyway. The past five months have been the “pinch yourself to make sure it’s true” type. This has been a marvelous experience for us all and certainly one that we’ll never forget. Starting with the boarding of the “Bergensfjord” on August 8th right through Norway, Sweden, Denmark, Germany, Austria, Italy, Greece, Lebanon, Syria, Egypt and Jordan we have been wide-eyed and incredulous, all the more so because we never dreamed this could happen to us. We only wish we could bottle all this and bring it home to share with you………..beautiful Scandinavia with its lovely countryside, handsome people, sumptuous meals, and abundance of flowers everywhere; Bavaria with Oberammergau….. the Passion Play anticipation shown on the bearded faces of the townsmen, the delicate woodcarvings, fairy tales painted in bold colors on the houses, and the magnificent rolling countryside; Austria with its unforgettable Tyrols right outside our window, folk dancing, The Achensee 3000 ft. up where we swam in 65 degree water, Peter in his leiderhosen and our girls in Tyrolean dresses………..; Italy, after a glorious trip over the Brenner Pass, with its host of churches, monuments, and fountains… plus the usual tourist attractions…. Not to mention “Chaiou, chaiou Bambino” played nightly outside our pensione windows….. sailing out to see the Straits of Messina go by. Greece was almost the high spot… a cloudless warm day with the Acropolis silhouetted against a deep blue sky…it was all we had anticipated and more…the Olympic Stadium, the King’s palace eve to seeing the changing of the guard….we hated to leave. A brief visit to Alexandria with the inevitable “Gullah-gullah” man on the dock to greet us… the museum, the catacombs, bazaars… and back to the ship. And here we are in Beirut. Having just put down our roots, we will be loath to leave here in June, and hope to be able to return someday. This is a fascinating city and country…. A real meeting of Eastern and Western cultures. You can walk down any street and in one quick glance take in men in tarbushes and baggy pants…. Goat-herders with their flocks, a Cadillac or Chevrolet, veiled women… men with pushcarts of brioches or vegetables… women in mink stoles… and boys and girls alike dressed in their smocks with big white collars, on their way to school. The Lebanese people are kind, generous to a fault, volatile, argumentative, and the biggest bargainers in the world! The city with its souks (markets), mosques, flea-market, luxurious hotels, poverty, and beggars is one great conglomeration. Beirut International Airport is the third largest in the world (next to New York and Frankfurt) and it is an exciting excursion to go out there and watch the big jets taking off for spots all over the world. The countryside here is incredibly beautiful! From our balcony we look out over the Mediterranean right across the street, and by turning our heads to the right we can see lovely snow-capped mountains. We haven’t yet been able to be really nonchalant about all this… and will miss it terribly. Even our “routine” life isn’t routine here. Having to speak French to “Information” to get a telephone number; speaking spotty Arabic with our wonderful maid, Hania; eating new foods; getting the “bukra” attitude toward life (“bukra” means tomorrow! ); and living in a wonderful apartment on the sea…. Now does this sound routine? The more mundane things include the children loving the American Community School; L enjoying his teaching and research; A tutoring 4 hours a day; the usual Brownies and Boy Scouts, etc., but life will never be the same again! We have crossed the mountains into Syria for a wonderful trip to Damascus where we saw so many things we have all read about since we were children… the “Street called Strait”…the window where St. Paul escaped… the Omayed Mosque… and many others. We came home laden with lovely silk [illegible] . We plan another trip In the spring. L has had a fascinating trip to Jordan. He saw Jerusalem, the Dead Sea, and Amman, staying in the latter for 4 days with a Christian Arab family which made his trip. He even had an audience with King Hussein and has pictures to prove it! We plan to take the children to Jerusalem at Easter when it is a bit warmer. We still have much of Lebanon to see. So far we have been to Byblos and to Baalbek, plus many lesser places close by, but are very anxious to get to Tripoli, Sidon, and Tyre. L also plans a trip to Ankarra, Turkey in the very near future. 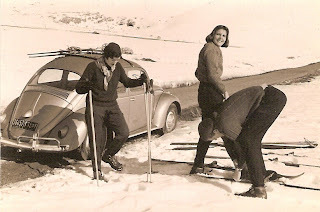 We have the traveling bug but good! 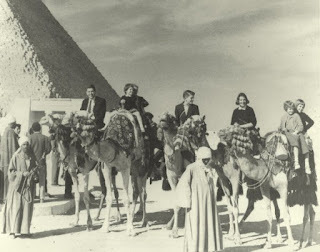 Our best trip so far, though, started on December 19th when we boarded a Viscount for a flight to Cairo. Exactly 1 hour and 15 min. later we landed at the Cairo Airport! We had an unbelievably good time there and could have easily stayed another week. 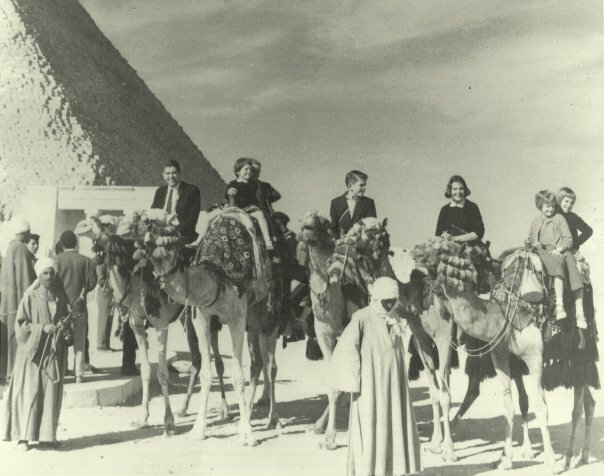 Cairo was very reasonable… we seven stayed at a nice pension hotel for the equivalent of $11 a day, room and board, and the food was excellent and excellently served by a team of Sudanese in their red tarbushes and long white gallebeyas with the red cummerbunds. It was quite an experience. Of course, we had the customary camel rides at the Pyramids of Giza, saw the Sphinx, the Tomb of the Bulls at Sakarrah, the second Sphinx at Memphis, all of the lovely mosques, the Egyptian museum with all the contents of King Tut’s tomb, the Mousky bazaars, a boat trip around Gezirah Island in the Nile, and two visits with Egyptian friends in their homes which was great fun. The children were determined to get home for Christmas so we arrived back in Beirut on Christmas Eve and even had a big Christmas dinner for 14 the next day! You can see that we are enjoying ourselves to the fullest. We have made many friends, both Lebanese and American, and it will be hard to leave them, too. We have even done quite a bit of night-clubbing which is most unusual for us… plus seeing an excellent “belly-dancer” just the other night who was a real artist. This post dedicated, with love, to the memory of my mother. (November 1923 - February 2012). She's the beauty in the foreground of the nightclub photo. p.s. And I was so glad to be able to re-visit my childhood memories a few years ago.